The BCCI said on Wednesday that India coach Ravi Shastri's contract would not be automatically renewed after the World Cup. Shastri remains the favourite to continue as the Indian cricket team's head coach after the World Cup, but the BCCI will be forced to restart the process, as his contract does not contain an extension or renewal clause. Unlike most big football or NBA clubs, who include renewal or extension clauses for their coaches, the BCCI, from Anil Kumble's time as chief coach, did not have that particular clause as a part of the coach’s contract. 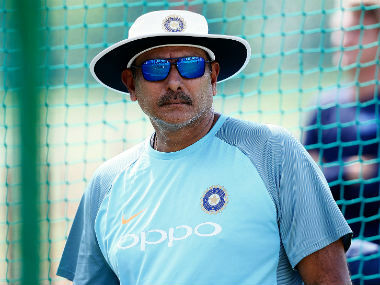 The official also indicated that there is very little chance of Shastri being replaced if India qualify for the semi-final. In Shastri’s tenure, India have beaten Australia in a Test series Down Under for the first time in 71 years and also won ODI series in South Africa, Australia and New Zealand. 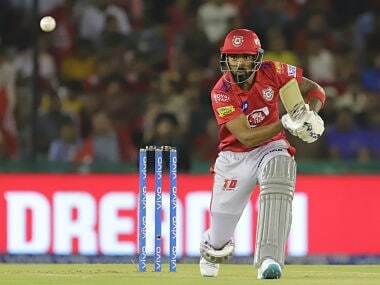 Defending IPL champions Chennai Super Kings suffered a blow ahead of the season opener as South African fast bowler Lungi Ngidi was ruled out of the tournament due to a side strain. Ngidi picked up the injury during the ODI series against Sri Lanka. 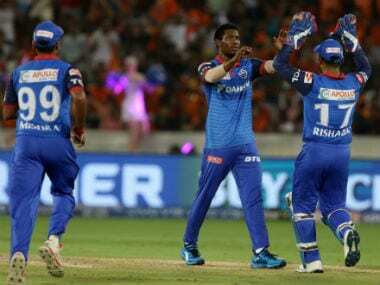 Ngidi played for CSK in last year's IPL and was slated to join the team this time around as well. CSK will play the opening match of IPL-12 against Royal Challengers Bangalore at home on 23 March. Four-time defending champions India stormed into the final of the SAFF Women's Football Championship with a thumping 4-0 win over Bangladesh on Wednesday. Dalima Chhibber scored the first goal for India, which was followed by a brace from Indumathi Kathiresan and an injury-time strike by Manisha as India took their tally to 15 goals in three matches. Bangladesh began aggressively, pressing the Indian defenders with rigorous pace. However, India’s centre-back duo of Ashalata and Sweety Devi denied the opposition forwards any sniff at a goal. India finally found their foothold in the 18th minute when Sanju curled in an excellent delivery from the left that fell to Dalima inside the box. Dalima made no mistake as she placed the ball into the back of the net. India scored their second goal in the 23rd minute and the third goal in the 37th minute. In the dying minutes of the game, Manisha pounced on a loose ball inside the box, rounded the keeper and scored her first goal of the tournament to make it 4-0 for India. India will face off against Nepal in the final on Friday. Some news from domestic football now. Six I-League clubs, including newly crowned champions Chennai City FC, expressed their willingness to compete in the Super Cup if the national federation addresses their concerns about the impending restructuring of domestic football leagues. Several clubs are worried that the I-League may be relegated to the second tier in the domestic restructuring this coming season on the direction of the Asian Football Confederation. The AIFF, through General Secretary Kushal Das, sought confirmation from six I-League clubs — East Bengal, Mohun Bagan, Neroca, Churchill Brothers, Real Kashmir FC and Chennai City FC — on whether they will take part in the Super Cup main tournament which begins on 29 March in Bhubaneswar. These six clubs were directly seeded into the Round of 16 stage of the Super Cup. Three of these and three other I-League clubs — Minerva Punjab, Aizawl FC and Gokulam Kerala — responded in a letter, asking AIFF to hear out their concerns first. East Bengal, Neroca and Real Kashmir did not sign the letter. Some of them, including former champions Minerva Punjab and Aizawl FC as well as Gokulam Kerala, did not turn up in the qualifying round of the Super Cup in Bhubaneswar. The letter also called for the creation of a 20-team unified league comprising clubs from the I-League, Indian Super League and I-League second division. The I-League clubs also offered a financial model of the proposed unified league for which each team will pay Rs two crore participation fee to AIFF/FSDL and no other franchisee/participation fee. They predicted a total sponsorship revenue of Rs 325 crore.